Empower your sales and marketing force with professional catalog copywriting services by Dynamic Digital Advertising. Online catalogs incorporated into custom website design or print catalogs delivered into the hands of current customers provide the in-depth product information buyers want. Professional copywriting by DDA infuses the extra flare necessary for turning customer desire into sales. Dynamic Digital Advertising’s copywriters have extensive experience in content optimization for search engine marketing. Experienced in utilizing highly-searched keywords and balancing optimization requirements with promotional and informational needs, professional website content for online catalogs helps you rank high on Google and reach your targeted audience. Reach your target market with DDA’s professional catalog copywriting services. Often, pictures are not enough. The space of a catalog is limited and cannot possibly show all the uses, benefits, and angles of a product. Professional catalog copywriting services by Dynamic Digital Advertising carefully examine the uses and benefits of your product and study the characteristics of your targeted buyer. Because DDA copywriters come from a range of writing backgrounds, Dynamic Digital Advertising provides the experience you need for your industry, business, and clientele. Take advantage of new windows of opportunity to increase your sales. Specialty catalogs leverage the buying potential of seasonal shopping excitement or specific market segments. DDA copywriters have experience in crafting the sales content that promotes products to a specific group of people at certain times. Whether you are a clothing manufacturer who wants to increase the profitability of your children’s line or a jeweler who wants to appeal to gift-givers during the holiday season, DDA’s professional copywriting services help you develop the catalog you need. DDA copywriters carefully assess the needs of your audience and write the highly-descriptive and persuasive content that encourages purchases. Who is the audience targeted by my catalog? What type of catalog will best meet the needs of my company? How can professional copywriting enhance the experiences of my potential customers? ...Why Dynamic Digital Advertising’s Professional Copywriting Services? Not just for DDA’s professional in-house copywriting department, but for the host of integrated digital advertising services that accompany copywriting. Dynamic Digital Advertising also offers digital photography for products, with live models, and much more. DDA was the first digital photography studio for commercial photography in Pennsylvania. Additionally, DDA’s graphic design, logo design, custom website design and professional website development, and ethical search engine marketing capabilities make DDA your one-stop-shop for all the tools you need to succeed with Marketing in the 21st Century™. Call today for the professional digital advertising services that persuade, influence, motivate, and sell. Based in the Philadelphia area in Bucks County, Pennsylvania, Dynamic Digital Advertising is one of the first digital advertising firms to offer comprehensive copywriting services for professional website design and all other aspects of corporate marketing and promotion. We proudly served clients based nationally as well as regionally in Pennsylvania, New Jersey, New York, Delaware, Maryland, and Washington D.C. Dynamic Digital Advertising is at the forefront of the custom website design and development revolution with a comprehensive 14-step process that earns high search rankings from Google, Yahoo, MSN, and more as well as better conversion rates from visitor to customer. 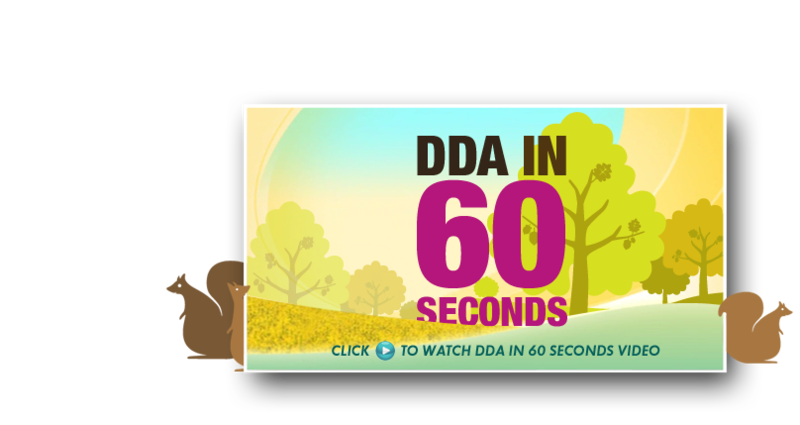 DDAs professional website design and development process uses proprietary optimization methodologies to earn the high rankings that attract targeted searchers. These searchers enter your website, enjoy a world-class experience, find the information they need, and take the desired call to action to become your customer. Graphic design services by Dynamic Digital Advertising provide the marketing media that help businesses achieve higher response rates. Print media graphic design includes business cards, brochures, direct mail, calendars, post cards, etc. Clients often use print materials for trade shows. Trade show graphic designs are suitable for trade show displays, booths, table covers, and materials to clients for effective promotion at trade shows. These services listed above represent only a fraction of the digital advertising services offered by Dynamic Digital Advertising.